9- There Is A God / Junior Tucker / Ready For The Rapture / Main St.
WAPJ's Tony Henry and guests will be providing coverage of 2008's Memorial Day Parade for the city of Torrington. They'll be set up right in front of City Hall so stop by and say hello if you can. If you're unable to come out and see the festivities live, be sure to tune in beginning at 9:00AM. And even if you can make it- you might enjoy the commentary as you're watching. Also, check out The Morning Show" with Bob Slais from 7:00-9:00 and "The Polka Show" immediately following parade coverage. 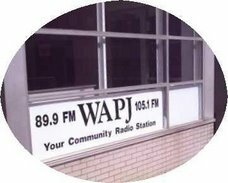 Red, White & Blues airs from 6 to 8 pm every Sunday evening on WAPJ FM. Choser and Bub host the program with occasional guests to talk about music and sometimes movies. They prepare a unique set of independent rock that ranges from electro-pop to post-rock and mix in folk and blues for balance. The Classic Rock Mini Concert for this week was a selection of "covers". From Cream to Deep Purple, from Spooky Tooth to the Who and the Ides of March, you never know what you might hear from the classic era of rock. 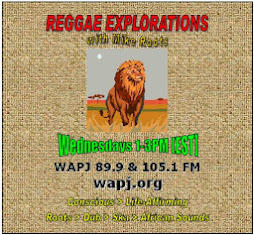 I will be off next week (5/23) but tune in to see what Tony will play between 10 and 11pm. Hey Ole LW here to say if you haven't tuned in on Wed. nights from 6-7 pm your missing a fresh look with a little humor at our city and world join scotty- mike and yours truly and AIR IT OUT.